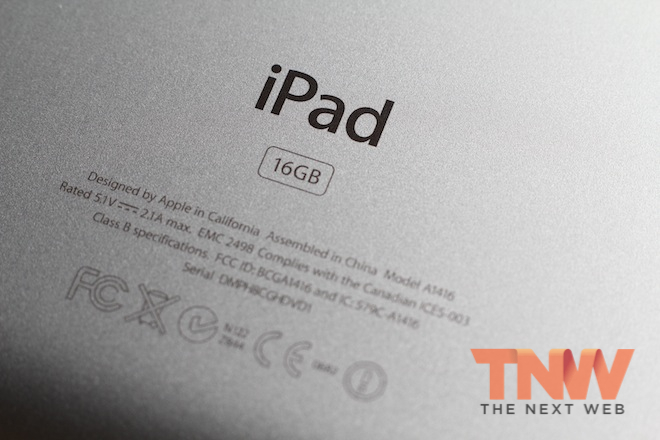 With the introduction of the new iPad, Apple marked its first device available with a high-speed LTE connection. The blazing fast speeds of LTE have long impressed U.S. users of smartphones like those from Motorola and Samsung, but one big issue has held back its growth: crap battery life. LTE-capable smartphones have a history of having incredibly terrible battery life, sometimes lasting only a handful of hours of high-speed browsing. With the new iPad, the possibility of reducing its impressive battery life was compounded by an increase in graphics processing capabilities, a screen with double the resolution and twice as many LED illuminating bars was going to eat up more power. The new device also has double the RAM, which represents a not insignificant power drain on its own. Before the release of the new iPad, but after Apple announced that it would have a 70% larger 42.5 watt hour capacity battery, Jordan Kahn of 9to5Mac wrote an article saying that the battery of the new iPad would also be 70% physically larger. I objected because I felt that it was too early to assume that Apple hadn’t used a technique to increase the power output (or density) of the battery, rather than simply increasing the size. Battery technology is not moving nearly as slow as many people assume, and Lithium-ion batteries have a long way to go, with some techniques ready for mass production claiming power boosts of up to 10 times. Lithium-ion batteries are nowhere near their maximum power output at a given physical size. But, it turns out, Apple didn’t employ any significant advances in battery technology in the new iPad. Kahn’s supposition turned out to be correct: the battery in the new iPad is roughly 70% larger than that in the iPad 2. Apple did this because it will bear no reduction in the battery capacity of the iPad, or any of its portable devices, for that matter. Apple’s battery numbers — by and large — go up not down. After iFixit’s teardown of the new iPad, Chris Foresman of Ars Technica took a look at the numbers and calculated the density of the battery was roughly identical to the older iPad 2’s. So what does this mean for LTE in the next iPhone? 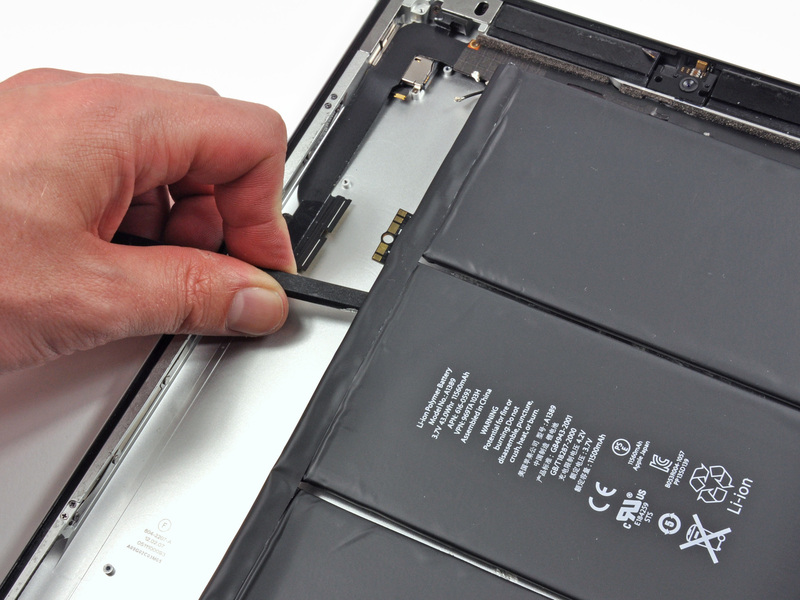 The iPad had lots of headroom inside its casing to use for an increase in battery size. Even with the extra room, the new iPad is still thicker than the last one. There is certainly no room to increase the battery 70% in size. But how much of the power of Apple’s 70% larger battery is going toward the Qualcomm RTR8600 LTE chip in the new iPad? The old and new iPad have identically battery life ratings from Apple. Both are rated at 10 hours on WiFi and 9 hours on cellular networks. These are turning out to be close to reality, if a bit optimistic. Since we’re really interested in the percentages, the rated numbers will do just fine. LTE on the new iPad accounts for roughly 10% of the battery’s capacity. The rest of the increase can be attributed to the more powerful processor, screen and bump in RAM. This is remarkable on its own, because its far less than most 4G phones require, indicating that Apple has worked with Qualcomm to intensely tweak the chip for power consumption. But, looking at iFixit’s teardown of the iPhone 4S, you can see that the current battery is about the biggest it will ever be, barring a huge reduction in the size of other components in the device. So, if Apple were to include LTE in its next iPhone, where will it get the 10% increase in power it needs to maintain the current battery life of its smartphone? There are several possibilities, some of which are more likely than others. The aforementioned carbon nanotube technology, or another radical new battery technology is one possibility. Our own Matt Brian talked about the importance of battery life in smartphones and other portable devices, citing a recent JD Power study that put battery life at the top of the list of important features by users of smartphones. Battery technology is incredibly important to portable device users and it has to be pushed forward. Apple has a history of pushing the tech industry forward, as it did with its barrier-breaking Retina display. But there are some options that don’t even require anything that radical. Brian Klug of Anandtech pointed out to me that Motorola has been shipping Lithium batteries with an alternative high voltage chemistry in its devices for some time. A bump of just 0.1V in the battery of Apple’s next iPhone could easily make up the 10% difference needed for a low-power LTE chip. There are tradeoffs though, Klug says that increasing the energy density of Lithium batteries too much makes them more potentially explosive. But a better option for Apple might be to include a chip like the Qualcomm MDM9615 that is built using the 28nm processor fabrication process, which leads to chips with much lower power requirements. The roadmap for the introduction of those chips? Q1 or Q2 of 2012, just in time for the fall, when many expect the next iPhone to be introduced. So, the new iPad doesn’t use any fancy new battery technology. Just the ‘brute force’ method of a physical increase in size, coupled with careful power requirement tweaking of its components. This is Apple’s LTE dry run, its way to power tweak and user test before using it in the next iPhone. It also gives carriers more time to build out LTE networks. But the next iPhone now has many more options to it, including radical new tech, tweaking existing battery voltages and a much lower-power LTE chipset. I’d say that this makes it more likely than ever that we see LTE in the 2012 edition of the iPhone.